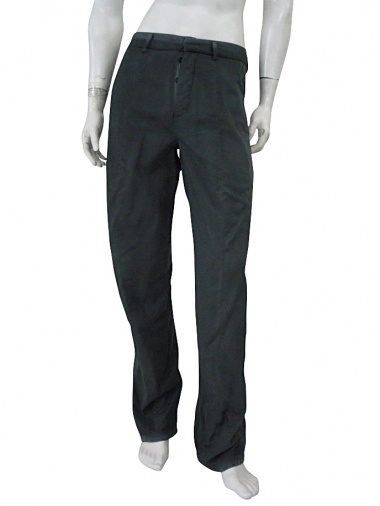 Pant 46% Cotton 34% Polyester 20% Silk by Domingo Rodriguez - Clothing Men Pants On Sale. Pant in mixed cotton and silk, classic cut, withous pockets, fastener with buttons, grey colour with pale shades on the waistband and on the fly. Seam on centre leg. Fashion for Brad Pitt.